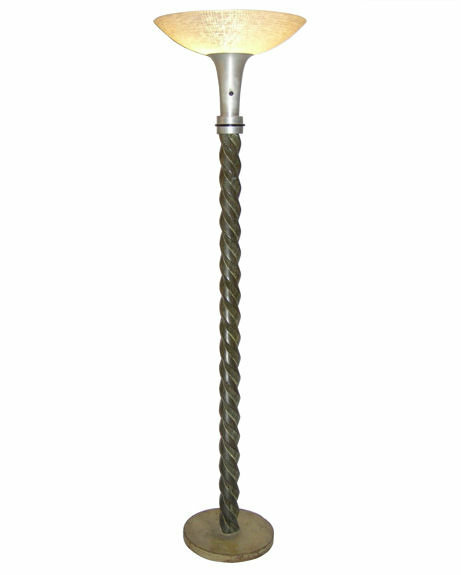 This unique mid-century floor lamp, circa 1950s, features a beautiful limed walnut pedestal with twisted carved shape and rich green stain, topped with an aluminum fixture frame and its original glass shade. Fine working order. 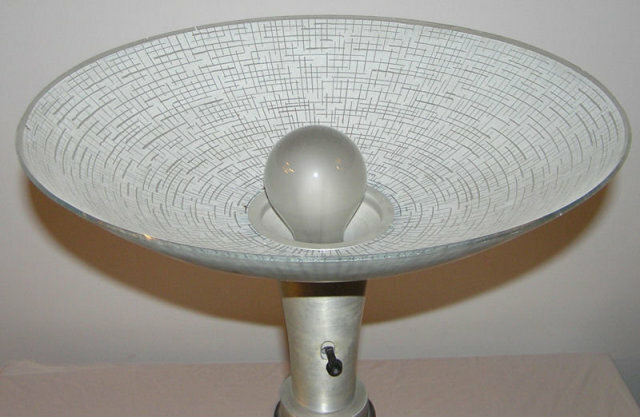 Measures 67.5" high and 17.5" across. 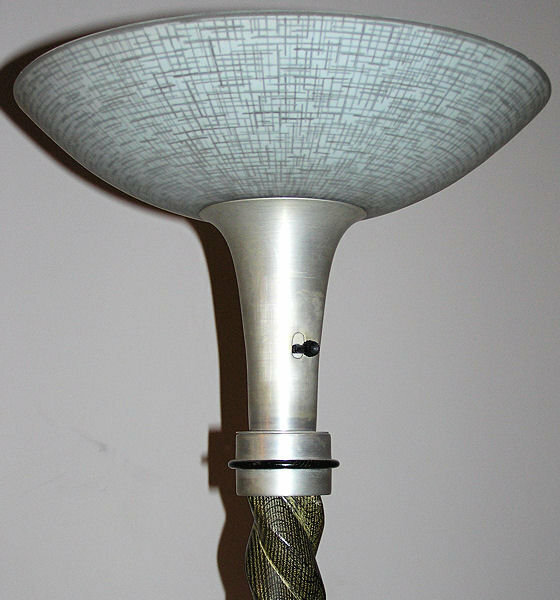 This lamp resides on the upper west side of Manhattan ( New York city ) and may be seen by appointment. Thanks for visiting. Please let us know if you have any questions or comments. 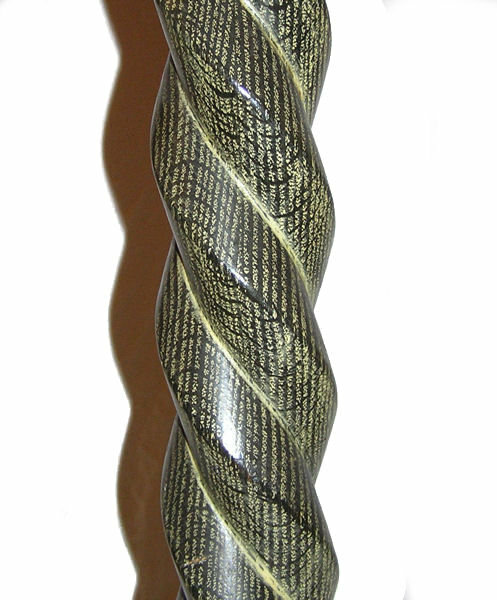 Items Similar To "Mid-Century Modern Barley Twist Wooden Floor Lamp with Green Lime..."